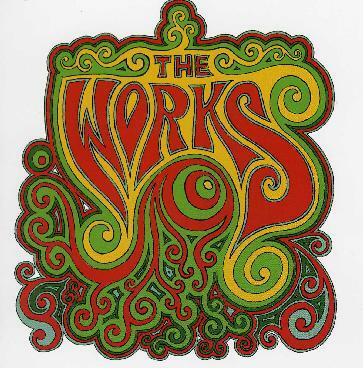 The Works is a band based in Stockholm and several members of Dungen also helped out on the making of this unique CD. The band is clearly influenced heavily by the Beatles. The CD has a wide variety of stuff from very 60's inspired material to classic 70's rock with power vocals (reminds me of Supertramp a bit) but always well played songs. "Time to Wake Up" is a very Lennon/McCartney sounding track. "Speak Your Mind" is a great psychedelic rock number with classic 70's power rock! "I Saw the Ocean" has some great psychedelic guitar and is another cool track. "Not the Same" has a really groovy beat and cool organ. "Follow Me There" is a short track that really shows Steffan pouring it out in his intense vocals. "Slow As She Goes" is the long 7½ minute psychedelic journey track on the CD. Well, at the end of the day there are few Swedish bands that you can compare to The Works. This is a fine example of well crafted psychedelic rock with 60's influences but also a Swedish feel at times. Excellent! For more information you can visit the Subliminal Sounds web site at: http://www.subliminalsounds.se.